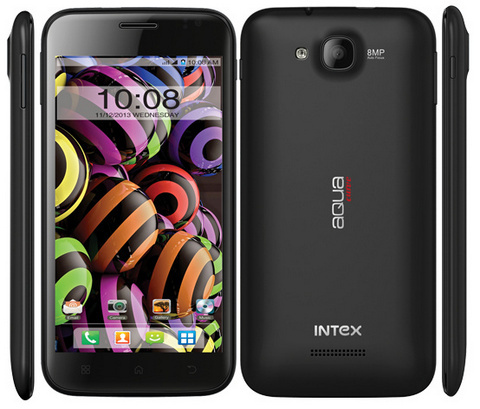 Intex mobiles has launched yet another budget quad core phone, the Intex Aqua Curve. The Aqua Curve comes with 5 inch qHD display, which probably is not a curved display. It has dual SIM support like other Intex Aqua phones. It gains the strength from 1.3 GHz quad core processor based on Mediatek MT 6582 chipset. It would compete with Micromax A114, Gionee Gpad G3, Elife E3 and recently announced Micromax A118R. The Aqua Curve houses 8MP rear camera and 2MP front facing camera. It has 1GB of ram which should be enough for playing basic and some graphic intensive games. There is 2000 mAh battery to make the phone alive. It is priced at RS 12,490 and will available through online retailers and other retail outlets. It would be interesting to see, how the Intex Aqua Curve performs in the market. The Gpad G3 would be its static competitor.